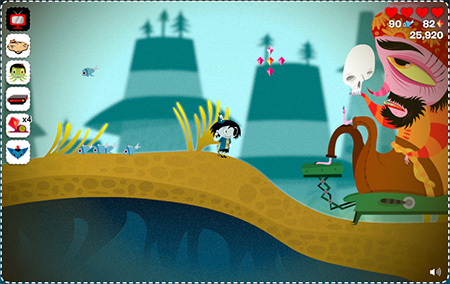 Just been playing this adorable web-based platform come puzzle-ish adventure game Scarygirl. It’s absolutely wonderful despite it being a little buggy at present. Go check it out. It’s free too! The game was produced by Touchmypixel and is based on distinctive artwork of Australian designer, artist and illustrator Nathan Jurevicius. You can find his vinyl toys over at Scarytoys.